I came around relatively late in my father's life, when he was at an age where it would have been believable for him to claim to be my grandfather, but it wasn't age alone that divided us. He was born and raised a country boy, the first generation of the family to not speak German, who worked his family farm and eventually had a small trucking company; by the time I appeared, both the farm and the trucks were long gone and I grew up a child of the suburbs, watching him head off every day to his blue collar job. He grew up in the Great Depression, with beliefs and stances informed by the times; I grew up in the Reagan 80s, equally shaped by that era. He dropped out partway through high school, while it seemed that school was the only thing that I did well. It would be a challenge for us to be more different. This was the "werewolf" in question. As a result, we found it very difficult to find common ground to even understand each other. I tried to watch the westerns that he loved so much, but found them very formulaic and repetitive. He almost didn't let me watch the movie I'd been waiting years to finally see because "it had a werewolf in it" and I'd had nightmares after watching The Wolfman when I was five. Though we both enjoyed reading, he primarily consumed westerns, pulps, and trashy romance novels while I ate up histories, mysteries, science fiction, fantasy, and, of course, comics. I'm not sure when the first war comics crept into my weekly haul from the store, but they made a home next to the super heroes, the Archies, the Richie Riches, and others. 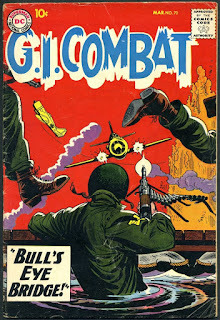 While they're relatively rare today, the stands were flush with war titles through the early 1980s, and with few exceptions (Enemy Ace, whose stories appeared in Our Army at War and Star Spangled War Stories, was perhaps the most notable), they featured World War II, a war that was accessible and relatively pure compared to later conflicts. My collection added several titles, but none as consistently as Sgt. Rock, GI Combat (featuring the Haunted Tank), and The Unknown Soldier. Somewhere along the way, Dad noticed that I was getting these titles and started to read them as well. I would bring them home and either set them aside for him to read first or read them quickly myself so that they'd be available for him to read. And we began to talk about them, discussing the steely bravado of the "combat happy Joes" of Easy Company and their peers and the realism (or lack thereof) of the unique plot twists they always encountered. It was superficial to be sure, but it was actual communication, which was rare between us, and it opened up the chance for more. Specifically, it gave us a reason to talk about his own military experience. When the Korean Conflict broke out, he was destined to be drafted into the Army, but circumvented that by enlisting in the Air Force instead. 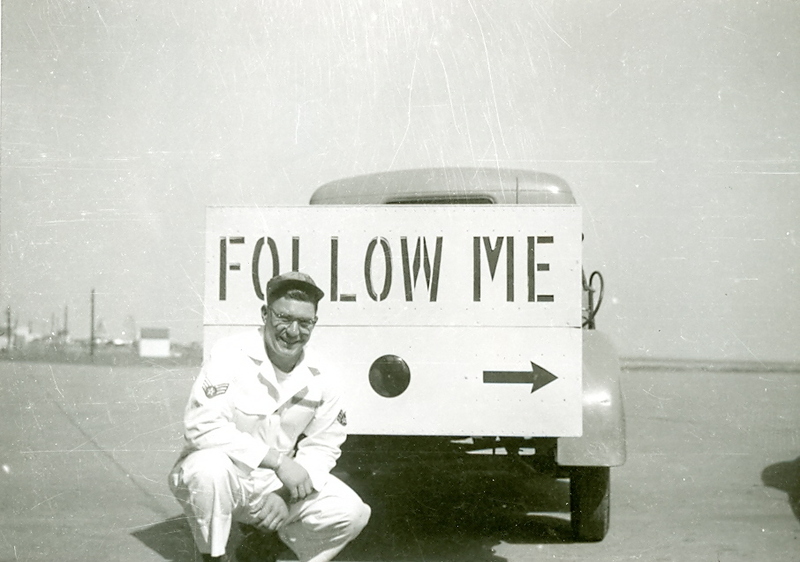 Stationed in England as an aircraft mechanic, his stories were sparse. His most harrowing experience was climbing onto a burning plane that had crashed to help rescue the pilot. He once met General Eisenhower. He developed a significant distaste for what British people call cuisine. His Korean War experience would not be the stuff of movie scripts. When the US became embroiled in Vietnam, my father, then in his thirties, reenlisted, this time in the Navy Construction Battalion, the Seabees. My father was filled with stories of those times, usually revolving around bar fights with Marines, midnight requisitions to acquire the materials they needed for some construction side project or another, and high jinks with the locals, who they befriended. He was always happy to expound on those wild times. He spoke much more sparingly, when he did at all, of the military action he lived through. His answers were terse: he had been shot at, he had fired his weapon, he had never killed anyone, rules of engagement required them to radio for permission to return fire (which was as popular as you can imagine), the stories of booby trapped civilians were real. According to the June 1969 issue of his battalion newsletter, my father was to be commended for his leadership of an asphalt team building Route 1 between Chu Lai and Da Nang that could lay 1130 tons of asphalt in a single day despite snipers and booby traps. 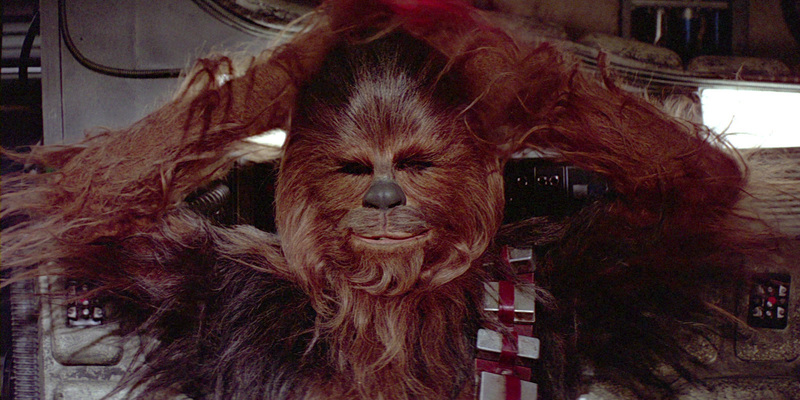 The snipers and booby traps were things he didn't talk about willingly. 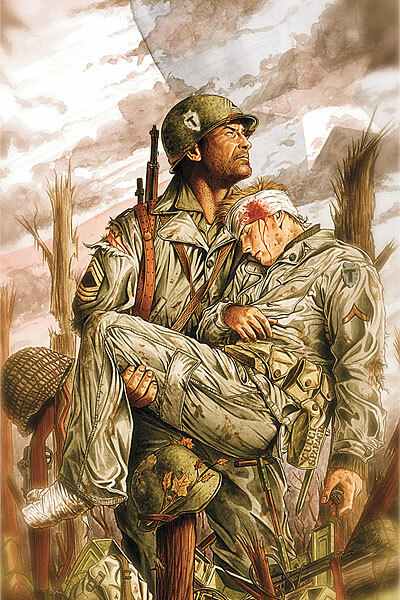 Marvel finally gave us The 'Nam, a major comic set in the war my father experienced. I jumped to buy it, eager to share it with him and talk about how the comic meshed with his experiences. He was less enthusiastic than I would have expected, and stopped looking at the title after just a couple issues. He still enjoyed books like Sgt. Rock, where he could relate but still hold things at a distance, but The 'Nam hit too close. It wasn't long afterward that I walked into the kitchen one morning and my mother warned me, "Leave your father alone today -- he's had another nightmare." He'd remain in bed all day. I would come to learn that these nightmares would return periodically, never with warning, and they would essentially demolish this large, powerful man who I always found intimidating. As an adult, I would find out that he spent some time in a hospital not long after returning from the war. When pressed about it, he answered simply, "I stopped sleeping." This weekend was Veterans Day, a time to remember and reflect on the sacrifices made by those who choose or are chosen to serve. Some feel that this holiday is overly jingoistic, that perhaps we fetishize veterans. I believe we don't actually do enough to honor and aid them. Very few return from war untouched physically, mentally, and emotionally. Suicide rates among that population are high, as is homelessness and joblessness. Far too many relive their nightmares. 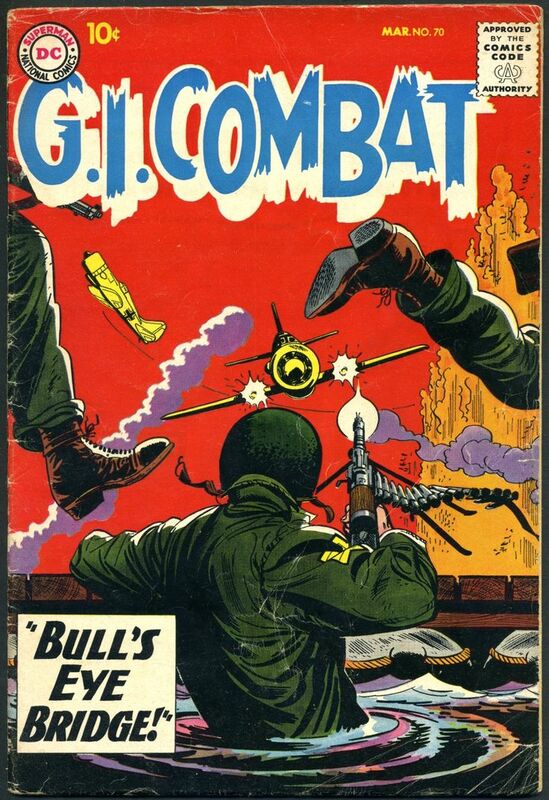 Not long after my experiment with The 'Nam, DC stopped publishing its World War II titles. The end of sharing war comics marked the end of open communication with my father, aided by my leaving to go to college soon afterward. We still talked, especially after my mother died when I was in my late 20s, but it didn't have the same informal ease that those days of talking war comics had. He passed away a decade ago. 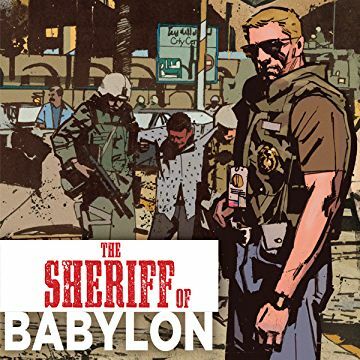 I still enjoy a good war comic, though they are few and far between today. They provide a connection to the past and, in those special cases, provide a little insight into what my father may have experienced. 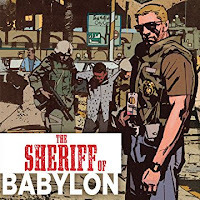 We have a new set of wars and a new set of potential heroes to write and read about now, and it's only a matter of time before more titles join books like The Sheriff of Babylon to tell their stories. 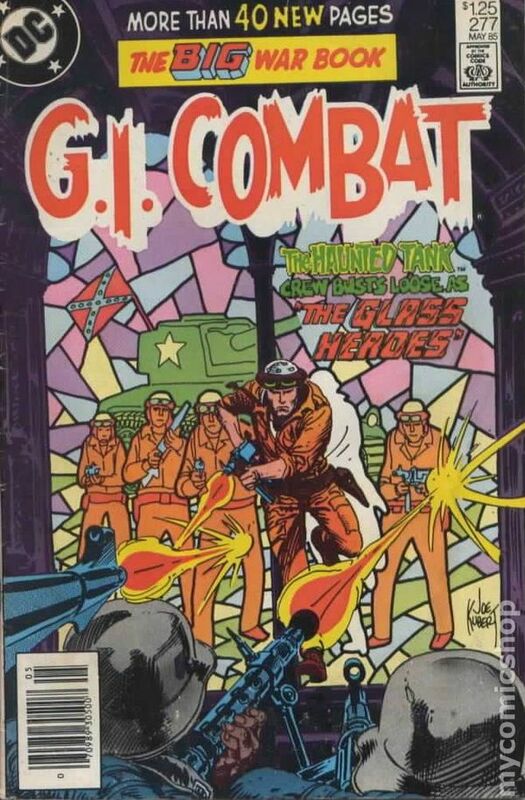 I like to think that they will help other sons and other fathers connect like the war comics of my childhood did for me.